According to the Austrian government’s program, Vienna vows to end Turkey’s EU membership negotiations. MOSCOW (Sputnik) — Ankara has expressed strong protest over the program of the new Austrian government that has vowed to halt Turkey’s EU accession negotiations, the Turkish Foreign Ministry said on Sunday. "The unfortunate and shortsighted statements regarding Turkey in the program of the new government of Austria confirm that concerns are justified about the political movement which takes discrimination and alienation as its basis… These statements are pushing the boundaries of losing the friendship of Turkey. Once tried to be put in effect they will receive the appropriate response," the Turkish Foreign Ministry said. According to Ankara, instead of searching for allies to halt Turkey’s bid for the EU membership, Vienna should be looking for allies against the global challenges. "Moreover, trying to escape the obligations emanating from EU’s contractual commitments towards Turkey as if they do not exist, and to indicate that allies will be sought in doing this, is an approach far from being friendly, let alone honest," the ministry added. 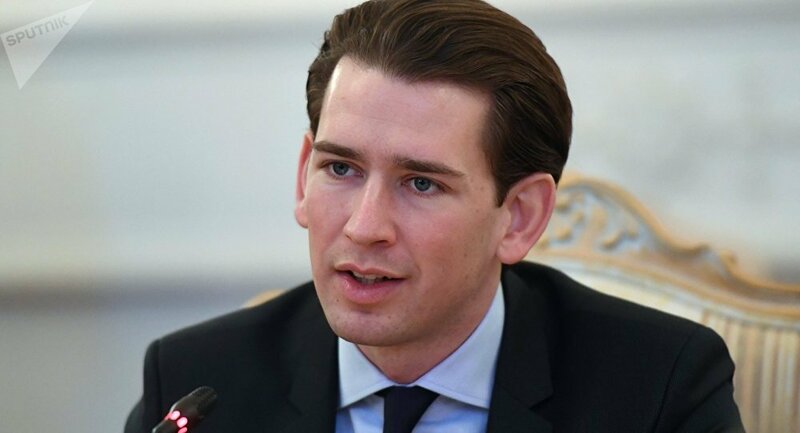 The stamement comes the Austrian People's Party (OVP) headed by Sebastian Kurz and right-wing Freedom Party of Austria (FPO) chaired by Heinz-Christian Strache announced on Friday that an agreement on forming a coalition was reached. In the foreign policy part of the new government’s program, Vienna vowed to end Turkey’s EU membership talks by joining forces with other EU countries that share this goal. Following the 2016 failed coup attempt in Turkey, the relationship between Ankara and the European Union have deteriorated, with the bloc strongly criticizing mass arrests and other measures taken by Ankara post-coup d'etat, suspending the EU accession negotiations. Among the EU members, Turkey has the most strained relations with Austria and Germany, as Vienna has repeatedly urged Ankara to put an end to their accession bid, whereas Berlin insists on a review of the EU economic policy due to the arrests of human rights activists in Turkey.